This is part 2 of a 4-series story the question whether a 4WD is a must for overland travel. Here are part 1, part 3, and part 4. Do You Need a 4WD for South America? Well, um, no. You don’t. Don’t believe the glossy magazines that say you absolutely need a 4WD with wide, deep-tread tires, 2 spare tires, dozens of liters of fuel, water, and I don’t know how many gadgets like a winch, hi-lift, sand ladders and god knows what else. Yes, you can buy all that and yes, all that stuff may be handy, depending on the type of journey you want. We do carry our fair share of recovery gear. However, is it a must? There is a reason I’m expressing this so strongly, and often, for a reason. 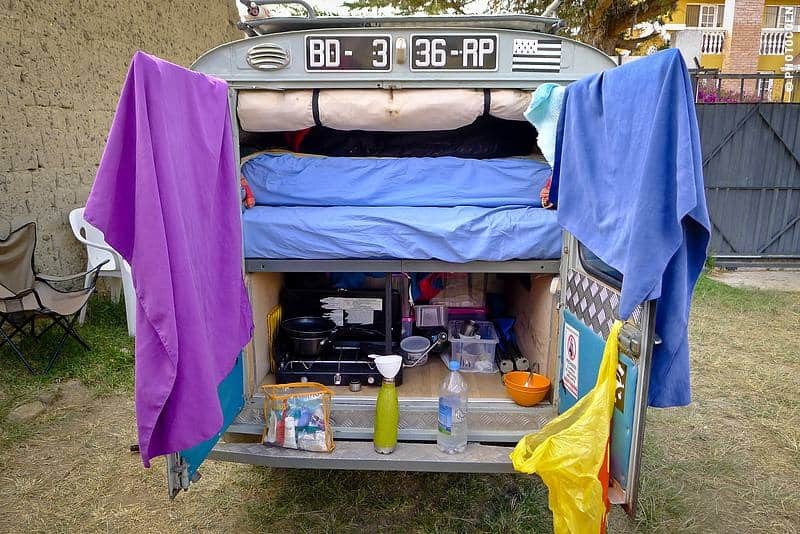 When you prepare for your overland trip, remember this: every dime you spend on stuff you can’t spend on traveling. Hence: choose wisely. Think about what kind of trip you want, and what you need for that type of trip. 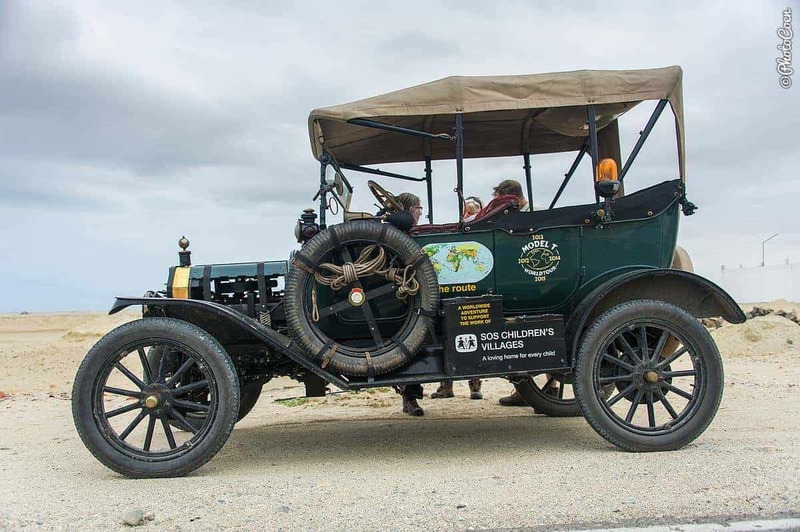 We came across this beauty in Peru – they had been on the road for ages, all over the world. You can travel through all of South America without leaving asphalt. Many countries are going through a massive transformation of asphalting their roads (Argentina, Brazil, Peru and Bolivia come to mind). Having said that, South America has its fair share of unpaved roads as well. This doesn’t automatically mean they’re muddy or treacherous. They can be perfectly straight laterite roads that you can drive with any regular vehicle. These unpaved roads are hard on all vehicles. Not only our maintenance of the Land Cruiser increased a hundredfold compared to driving in Asia but we saw how also the newest and largest vehicles had issues. At some point, ALL vehicles (old, brand new, smallest and simplest car to the largest and fanciest MAN truck) break down on this continent. That IS something you should budget: money for car maintenance and repairs. Where does this leave you on the 4WD issue? In South America you’ll come across numerous overlanders in 2WD cars. What you DO need to do when driving a two-wheel drive (regular car) is paying more attention to the climate, specifically dry and wet season. 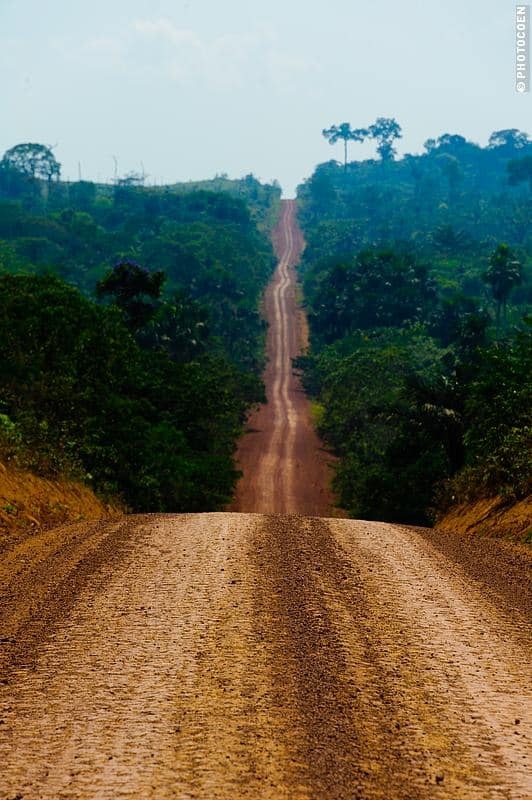 Driving unpaved roads in the Amazon, or in the Andes for that matter, during the rainy season may not be the best decision (unless you want some serious adventure). Each country has dry seasons so with a bit of planning you can explore all of South America in a 2WD. 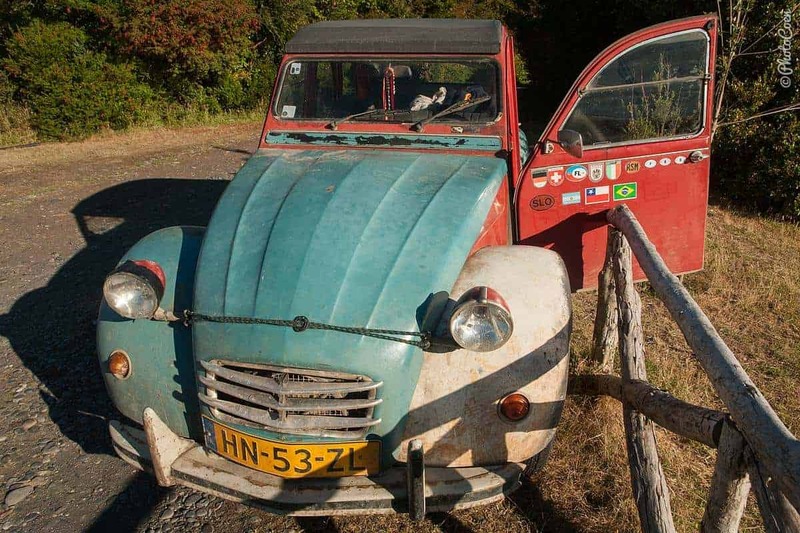 Like the French couple we met, who drove a 2CV from Alaska to Argentina. Our experience was similar to the one we had Asia. Since we don’t like planning, which includes planning around seasons or weather conditions, having a 4WD makes traveling much easier than if we had only a 2WD. We’ve had some great off-road adventures and will continue to have them in the future. By the way, most of the time we drive in 2WD and only engage 4WD when the situation requires it. 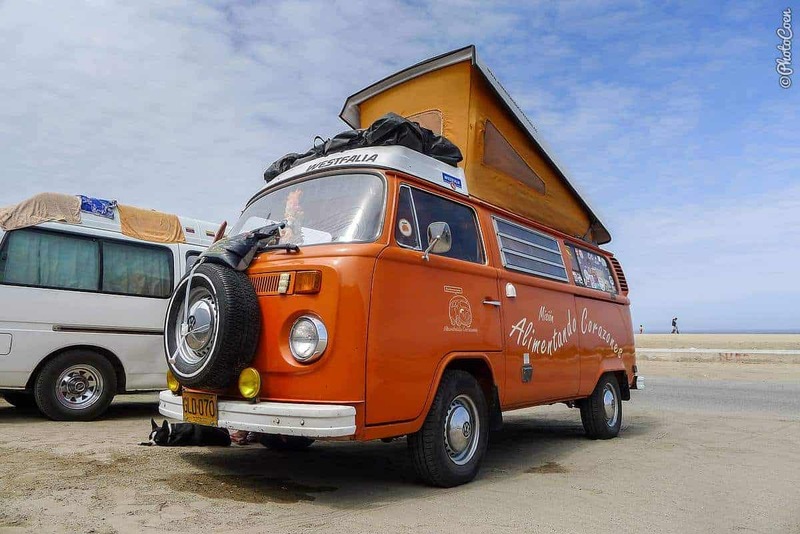 A couple from New Zealand drove this beauty in Patagonia. Argentina: Most Toyotas are modern. Finding spare parts for an old version like our 1984 BJ45 was a mission impossible (with the exception of finding oil filters, which was no problem). Getting the car fixed required creativity on the side of the mechanics (also not particularly evident in this country). Apart from that, Argentina has a 60% import tax on spare parts so having stuff sent over wasn’t an option either. We avoided car maintenance as much as possible in this country. Chile has more choice in spare parts and a lower import tax than Argentina. Basic parts like filters and oil are easy to find. In Bolivia are many BJ40s, the smaller version of our Land Cruiser. A paradise for spare parts but beware: many are cheap copies from China. We did the Land Cruiser’s 6-month overhaul in La Paz, which was a terrible mistake for many reasons but we could find most of the parts we needed. Brazil has been a good place for our Land Cruiser. The Land Cruiser series J4 is known here as Bandeirante, which was in production until 2001. However, as the Bandeirante was produced locally, many parts do not fit directly and need adaptations. 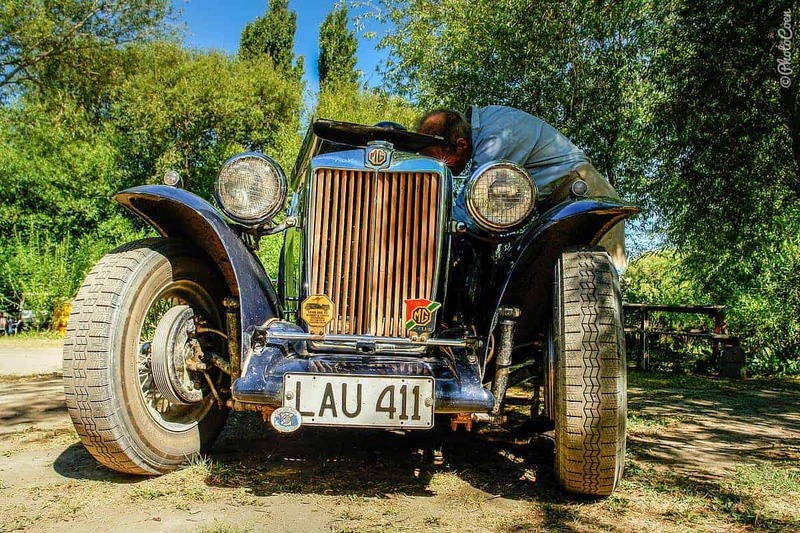 The Bandeirante’s engine, for example, varies from a Mercedes during the early years of production up to the 14B in the last 5 years of the Bandeirante’s production. Like Bolivia, Colombia and Venezuela are old-style Land Cruiser countries. Venezuela, however, is in such an economic crisis right now that not many parts are available at the time of writing. In both countries we came across great Land Cruiser aficionados who helped us. Colombia: Workshop Iguana 4×4 in Bógota. Venezuela: Rodolfo, in Puerto Ordaz, who has all the contacts you need / Alexis, in Caracas, sells spare parts. 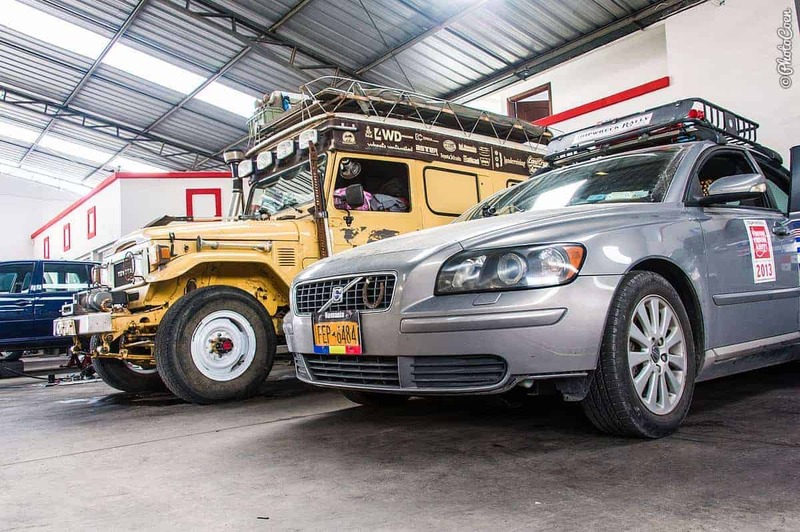 Stefan drove his Volvo from the States to South America. Do you agree? What are your experiences? Please share them with us in the comment section below. Thanks. Cool. Having the same thoughts about a 4wd gmc safari conversion.